ONE’s latest fight card was named Quest for Gold, which after today seemed like a perfect title. 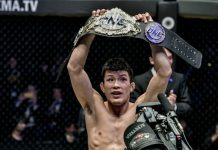 ONE middleweight champion Aung La N Sang stepped up today and fought Alexandre Machado for the vacant ONE light heavyweight belt. Just a minute into the first round, Sang launched a powerful head kick at Machado. It was blocked, but it didn’t even matter. 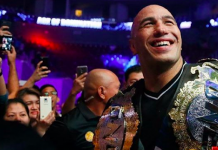 Machado fell to the canvas and history was already made as the Yangon crowd went absolutely berserk. 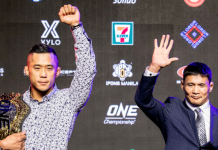 Now the ONE middleweight and light heavyweight champion, Aung La N Sang joins Martin Nguyen as the division’s second — yes, second — two-division champion. 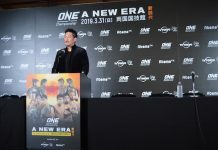 Sang became the ONE middleweight champ back in June of last year by beating Vitaly Bigdash. 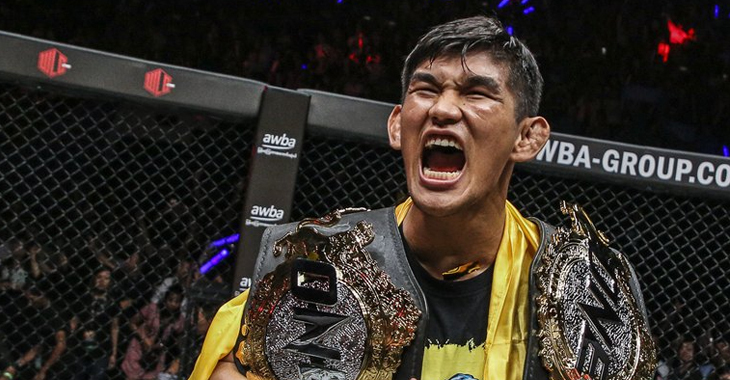 Nguyen knocked ONE featherweight champ Marat Gafurov out in the second round in August of 2017, then did the same to Eduard Folyang that November to steal the lightweight title. Are these two men going to hold the bottom and top of the weight classes in ONE hostage? What a wild scenario. It will be interesting to see what’s next for these two Champ Champs. 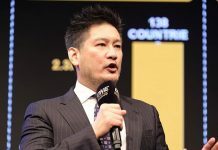 If only the organizational boundary lines were dissolved so Aung La N Sang could fight the winner of Yoel Romero and Robert Whittaker or Daniel Cormier, while Martin Nguyen could fight Conor McGregor. Unfortunately, those are just daydreams but their accomplishments in ONE are very real and impressive. Aung La N Sang is ready and excited to compete for his second divisional belt. Will he conquer the odds and become a two division world champion?